Calderón’s Drug War: Was the Juice Worth the Squeeze? In 2006, when Mexican President Felipe Calderón’s administration launched the daunting task of taking on major drug cartels throughout the country, the country’s security landscape began to realign. As President Calderón’s tenure comes to an end, a growing number of critics are asking if the crackdown on drug trafficking cartels has been worth the increased violence. One of these voices belongs to President-elect Enrique Peña Nieto, who will be bringing the revived Institutional Revolutionary Party (PRI) into power. President Calderón’s policy on drug trafficking was initially met with enthusiastic praise by the United States’ government, demonstrated by President Bush’s donation of $1.4 billion USD to help subsidize counter-narcotics training and provide necessary equipment . On the other hand, in 2006, President Calderón dispatched military troops and federal police to confront narco-violence in the Mexican states of Acapulco, Monterrey, and Michoacán, followed by an additional 10,000 troops to Ciudad Juárez in 2009 . The stigma surrounding Mexico’s war on drugs evolved as more troops led to more violence. Homicide rates drastically escalated by more than 20 percent each year between 2007 and 2010, and eventually resulted in almost 60,000 drug-related deaths under his administration . On the surface, it would seem as though the crime statistics are not in the President’s Calderón’s favor, but the increased level of drug-related violence began two years prior to Calderón’s tenure, during Vincente Fox’s presidency . Even before that, the PRI allowed organized crime to flourish with impunity, as drug-trafficking organizations (DTOs) already had infiltrated pockets of the Mexican government and infrastructure. Although President Calderón’s strategies were not flawlessly executed, they were an improvement upon the policies of his predecessors. Upwards of 60,000 deaths are hardly an acceptable price to pay for dismantling drug cartels; however, allowing criminal organizations to operate freely may have resulted in even greater casualties. Drug cartels had been given free reign by corrupt politicians and government officials, eventually leading criminal organizations to clash over limited land. In the end, Calderón has costed the drug cartels billions of dollars while seriously undermining major criminal networks. 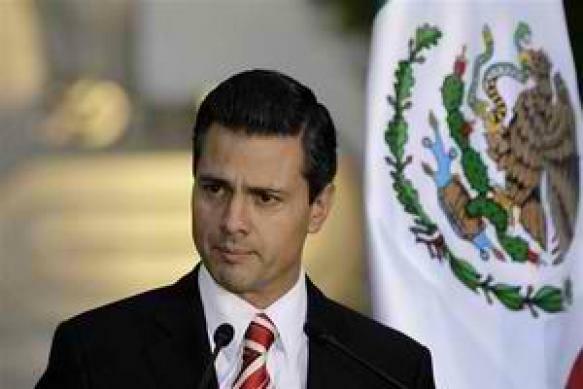 In December, Mexico’s population will be placed in the hands of Enrique Peña Nieto. He plans to change the direction taken by President Calderón by only targeting the violent regions of the country, and discontinuing the strategy of apprehending cartel leaders. However, given the PRI’s foothold in the most under-developed areas of Mexico, it is likely that the PRI’s legendary reputation for corruption will continue. Lastly, his strategic shift could be of grave concern for Mexico because citizens now should be able to see the results of President Calderón’s war on drugs. It is very possible that if his strategy continued to be implemented effectively that the cartels would also continue to bleed assets, see its influence weaken, and cause less violence—leading to a new level of Mexican security and an advanced inventory of assets. 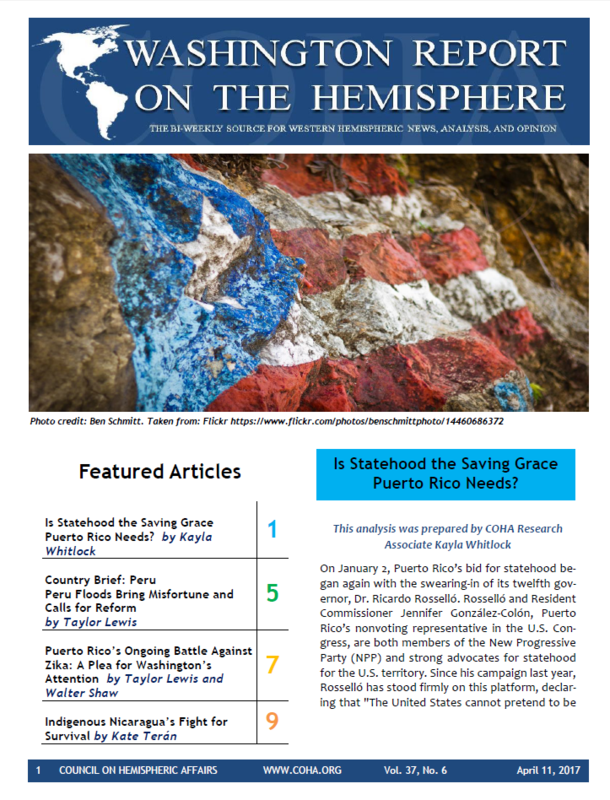 Please accept this article as a free contribution from COHA, but if re-postng, please afford authorial and institutional attribution. Exclusive rights can be negotiated. Manuel Pérez Rocha, “The Failed War on Drugs in Mexico,” Transnational Institute, April 1, 2009, accessed September 17, 2012, http://www.tni.org/article/failed-war-drugs-mexico. “Timeline: Mexico’s drug war politics,” Aljazeera, last modified January 24, 2012, accessed September 14, 2012, http://www.aljazeera.com/indepth/features/2012/06/2012615121739767510.html. “Violence in Mexico: Plateaus and Pitfalls,” The Economist, February 2, 2012, accessed September 14, 2012, http://www.economist.com/blogs/americasview/2012/02/violence-mexico. Elisabeth Malkin, “Mexico Deals a Blow to a Cartel but Warns of Continued Drug-Related Violence,” The New York Times, December 17, 2009, accessed September 15, 2012, http://www.nytimes.com/2009/12/18/world/americas/18mexico.html. Randal C. Archibold, “Mexico Announces Capture of Gulf Cartel’s Top Leader,” The New York Times, September 13, 2012, accessed September 14, 2012, http://www.nytimes.com/2012/09/14/world/americas/el-coss-head-of-gulf-cartel-captured-mexico-says.html?_r=1. 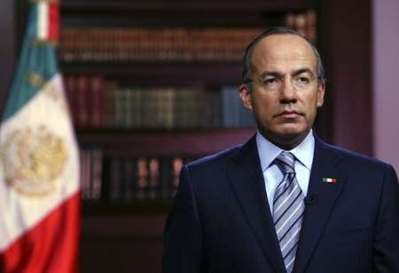 “Calderon defends war on Mexican drug cartels,” The Telegraph, September 2, 2012, accessed September 13, 2012, http://www.telegraph.co.uk/news/worldnews/centralamericaandthecaribbean/mexico/9515781/Calderon-defends-war-on-Mexican-drug-cartels.html. 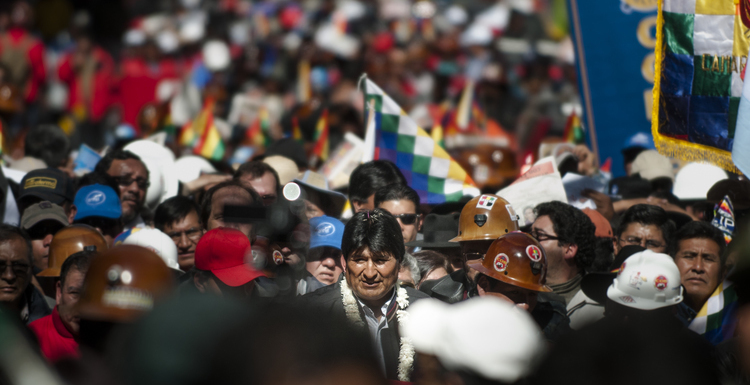 ← October 7, 2012: What Will Be Hugo Chávez’s Fate?